Black Hairspray Wigs are a quick and affordable way to change up your look instantly without the commitment. 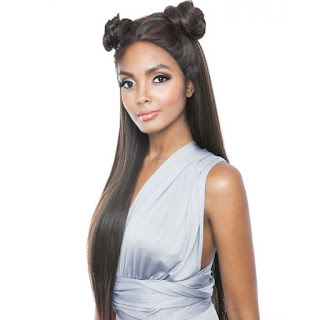 Available in multiple lengths and colors, Black Hairspray wigs are made with the highest quality of high heat resistant synthetic fiber which makes them versatile to style with heating tools. People want wigs that are ready to wear and those that can give a natural look. The lace front wigs are the best for this purpose. These wigs are easy to style and they fit perfectly on the head crown. You can create your very own hair style with the Human Hair Lace Front Wigs too. These wigs are extremely beneficial to have. Lace wigs are popular because they look exceedingly natural, and in most cases a bystander would be none the wiser that you have a wig on. Also, front lace wigs are extremely durable thanks to the lace material that is used to manufacture them. Front lace wigs are also breathable than an ordinary wig. If you would like to return or exchange an item that you purchased at Black Hairspray, they will gladly accept returns within 30 days from the time in which your order was shipped.